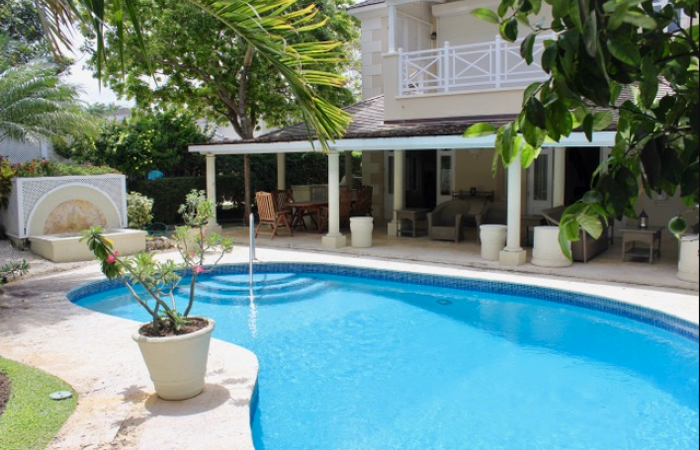 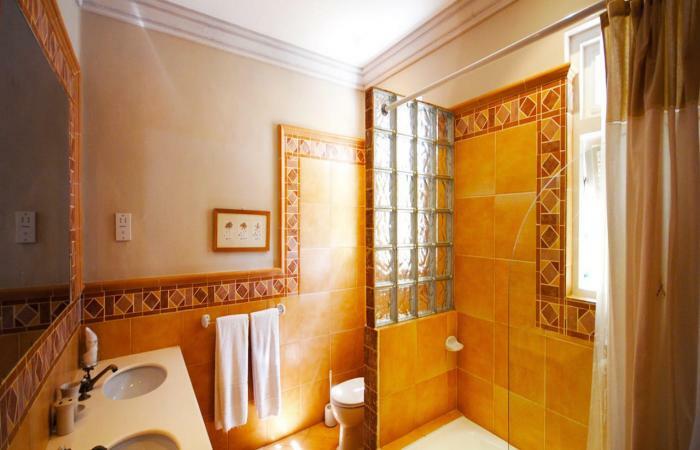 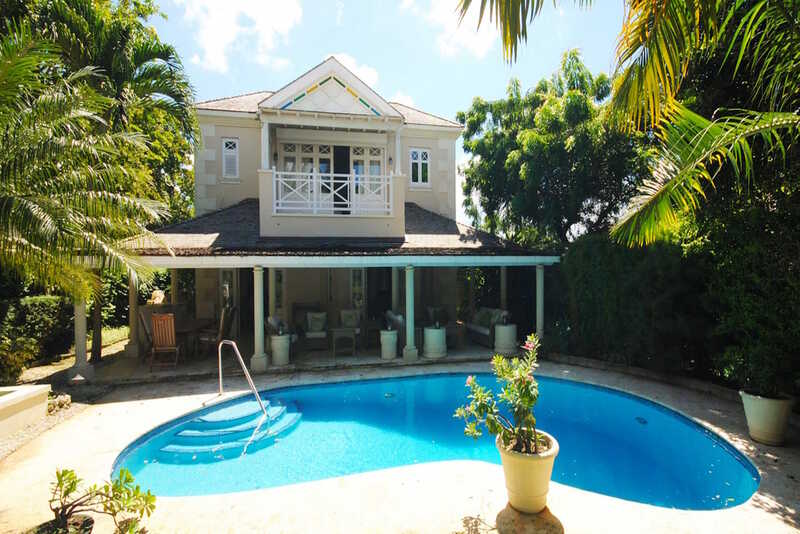 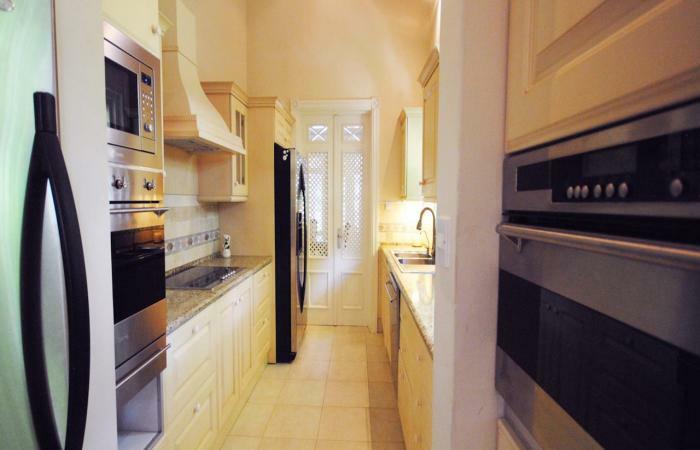 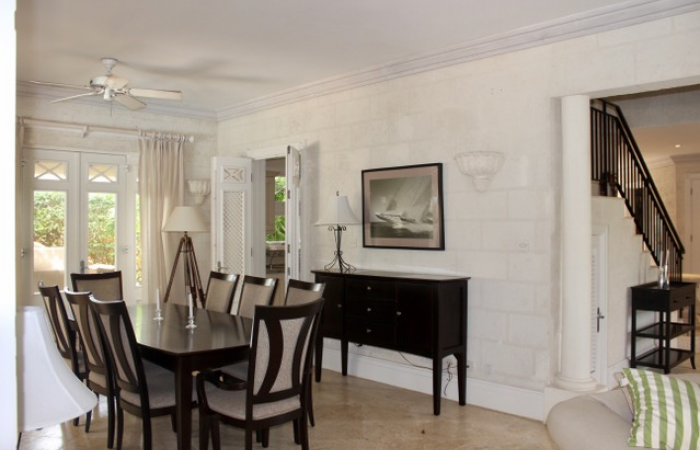 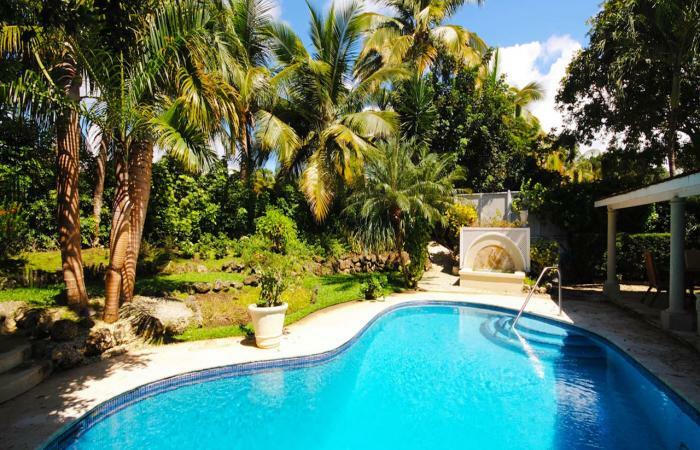 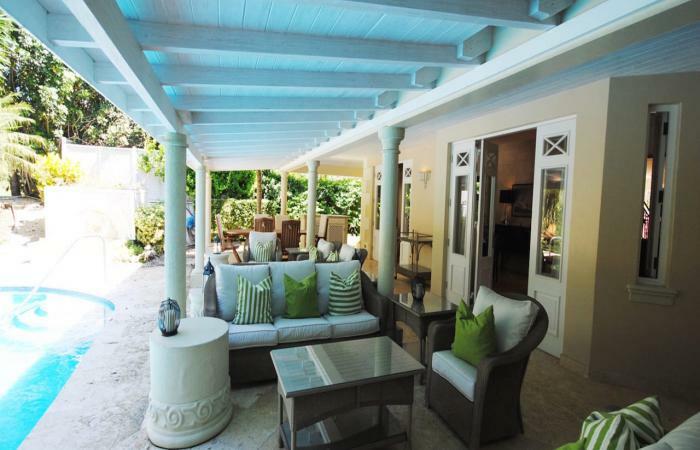 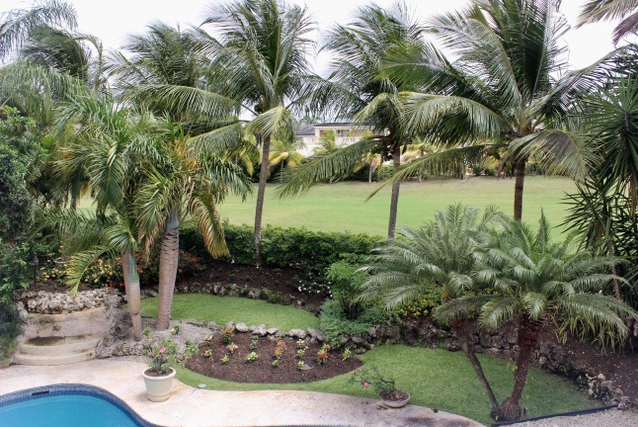 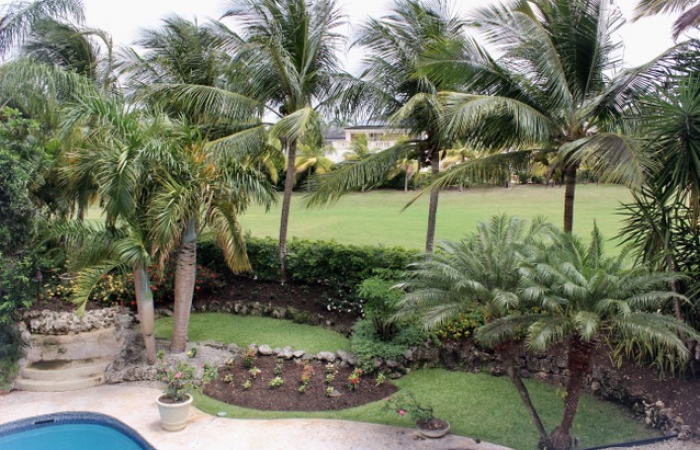 This well-maintained three-bedroom villa located in the desired Royal Westmoreland neighborhood. Minutes from the clubhouse and resort facilities, the villa enjoys a central yet secluded location overlooking the10th fairway and surrounded by mature palm trees and tropical plants. 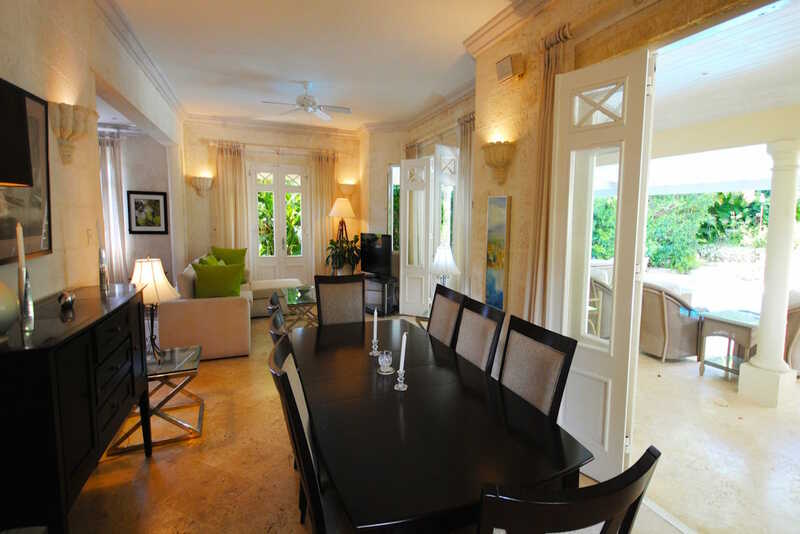 The entrance foyer is noticed breezy feeling and the enhancement of its elegant furnishings. 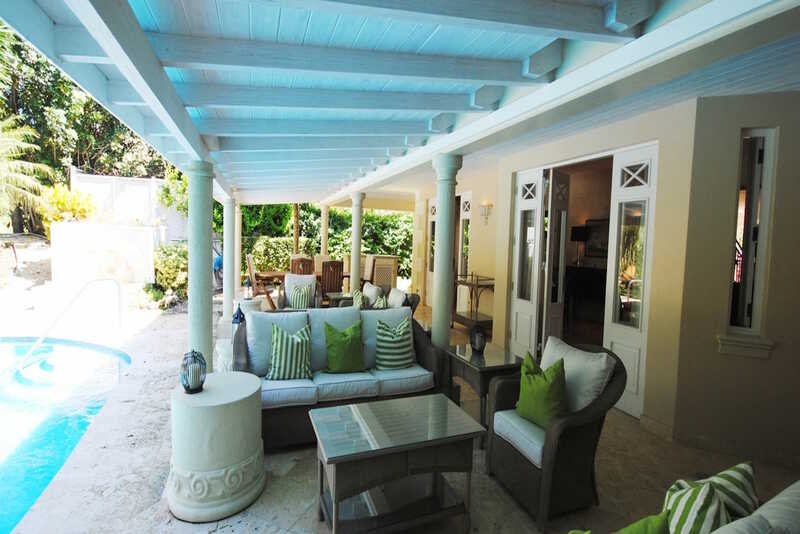 The open- plan living/dining area extends to the covered patio, with an adjoining pool deck and garden. 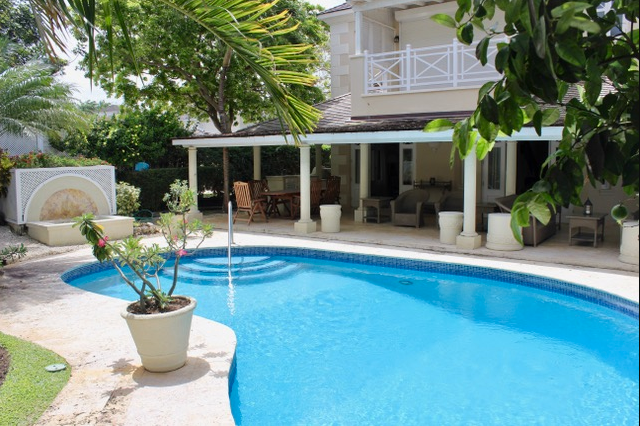 There is a private swimming pool invites you to a refreshing swim or a sunbath on one of the comfortable deck loungers. 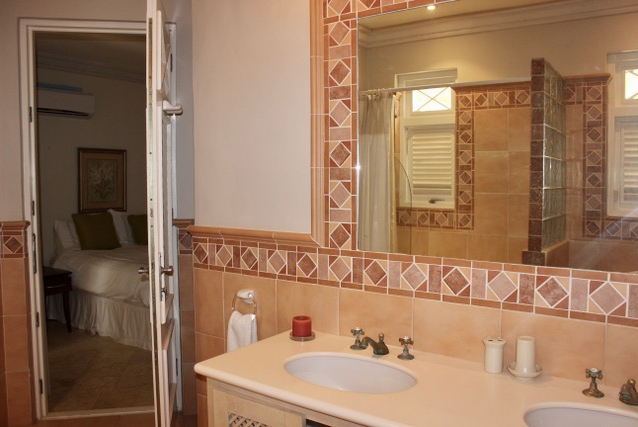 The ground floor offers a modern, fully-equipped kitchen, an en-suite guest bedroom as well as a powder room and laundry facilities. 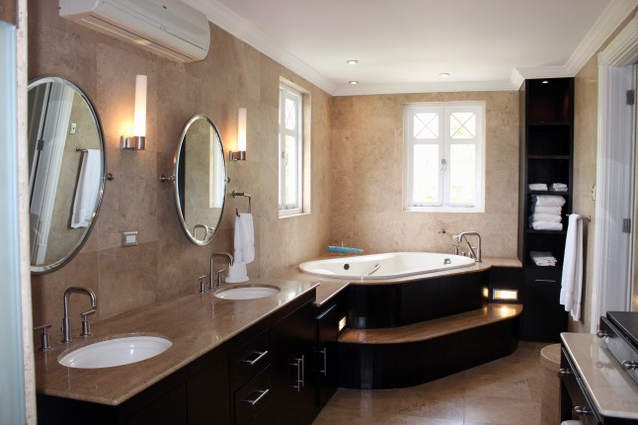 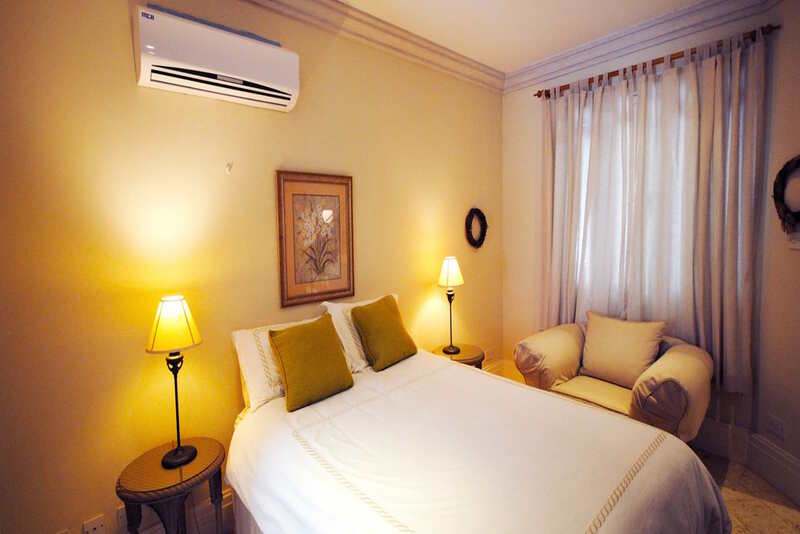 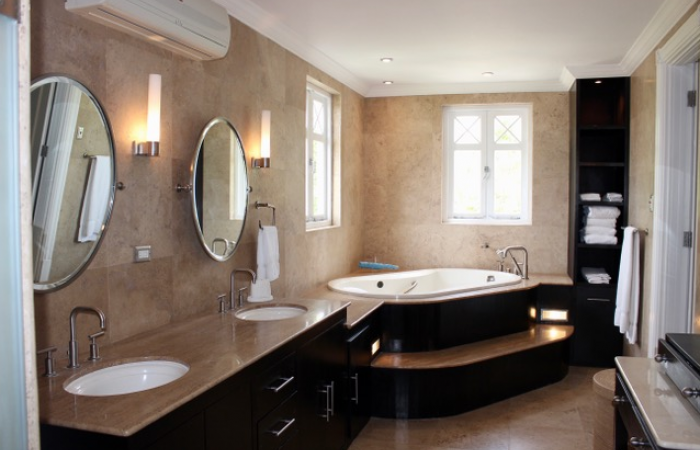 Upstairs there are two en-suite bedrooms which includes the Master which boasts a generous Master bath, walk-in closet and private balcony overlooking the pool and resort grounds. 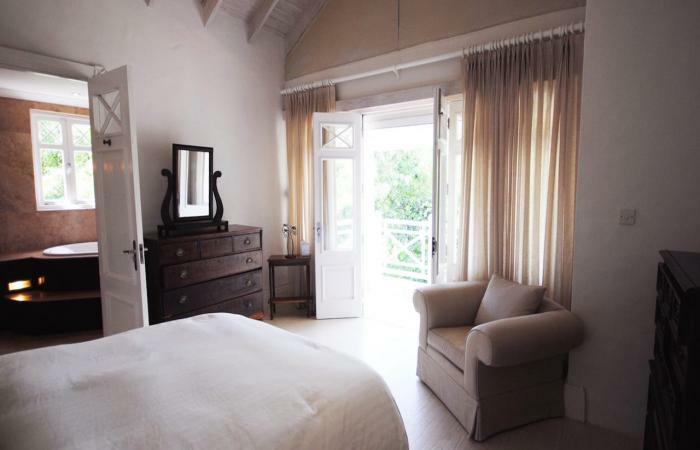 The remaining bedroom is currently used as a home office, but is fully functional as a bedroom. 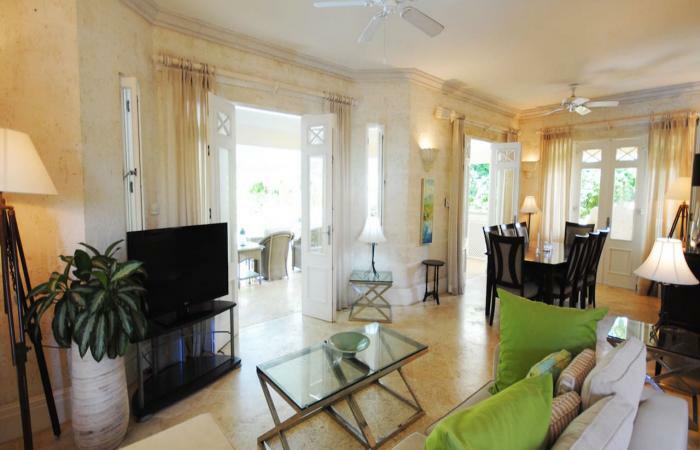 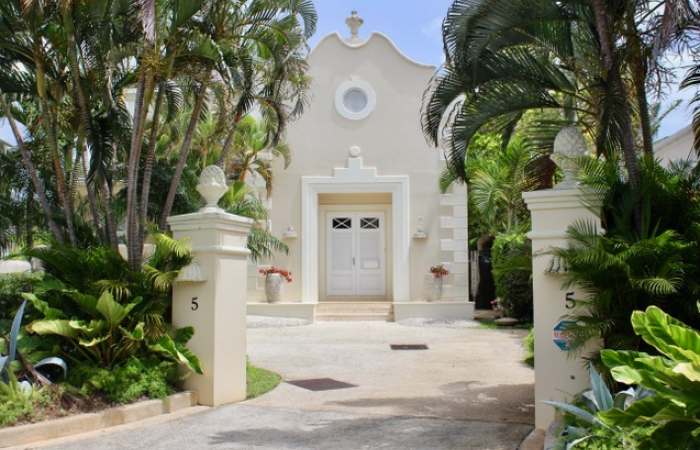 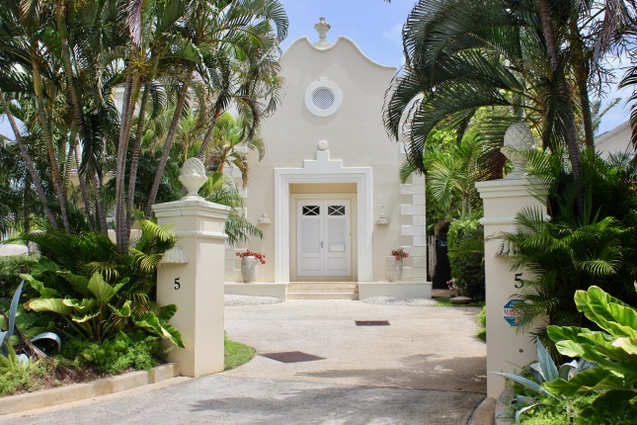 Royal Westmoreland is a private gated community and onsite amenities include a gym, tennis courts, elegant club house with bar and restaurant, Sanctuary swimming pool and cafe as well as a beach club at Mullins Beach Bar, a short drive away. 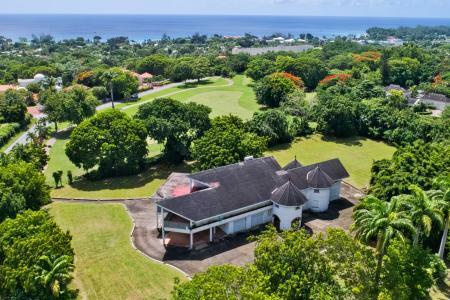 Asking Price includes Membership in Royal Westmoreland Club.